The two heavyweight actors are not related, but they sure could be! 48-year-old Connely and the 61-year-old Day-Lewis are a lot alike besides hailing from two different continents. Their hairline, strong eyebrows and deep green eyes have us going well, green with envy. 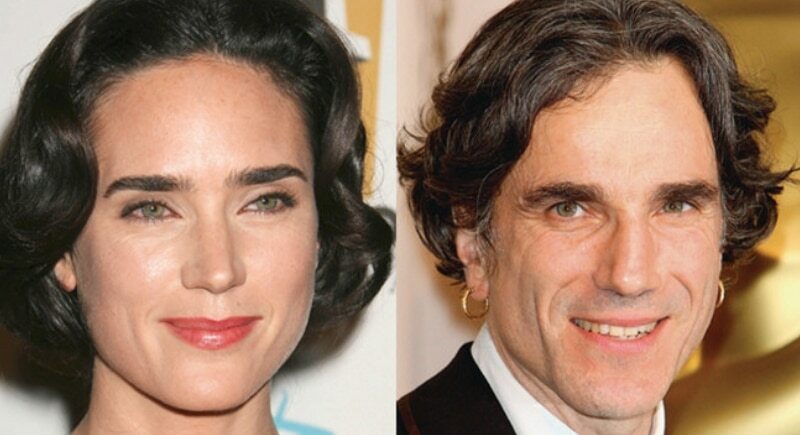 Both the actor’s mothers are Jewish who emigrated to London (Day-Lewis) and Brooklyn (Connely) from the Poland area, so perhaps there is a connection there after all! Who can resist the free spirit, wild hair, and ample lips of Steven Tyler and Julia Roberts? At age 70, Tyler could be the father of 51-year-old Roberts, and there’s no doubt there is enough talent between the two to go around. The two also share a similar estimated net worth, Roberts at $140 million and Tyler at $130 million. 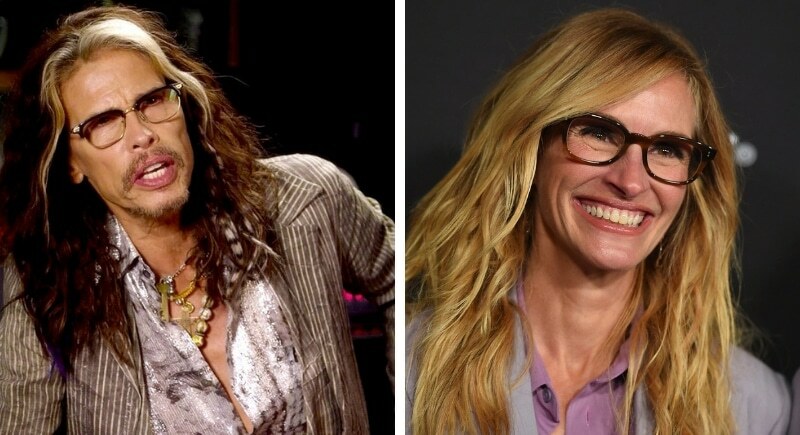 We’d love to see Steven Tyler exercise his acting a bit more, and does anyone know if Julia Roberts can sing?